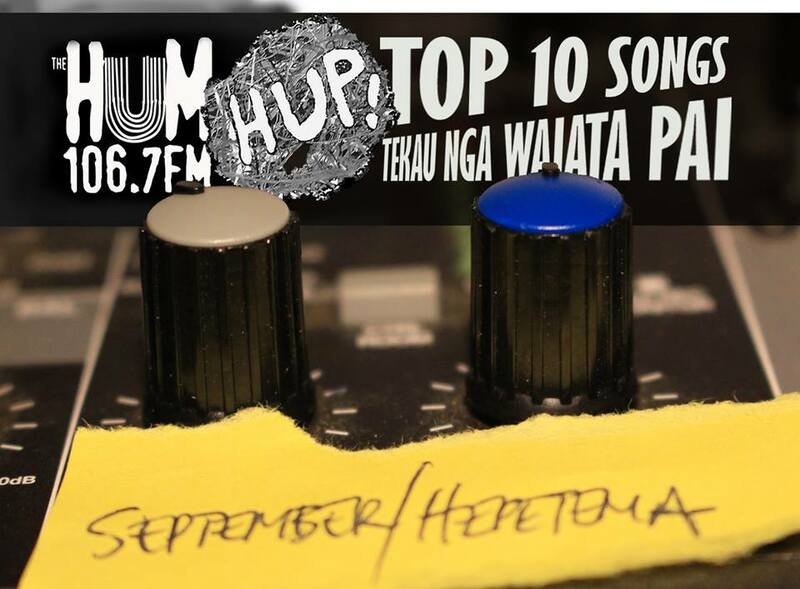 Our 17th HUPCAST is another 6 Songs Podcast. In Episode 3 we are plagued by technical difficulties and decide to go ahead anyway using the less good mic while the good one gets fixed. Contains tinny chat (not like that) and bangers. ​HUPCAST 16 is episode two of our new 6 Songs Podcast. 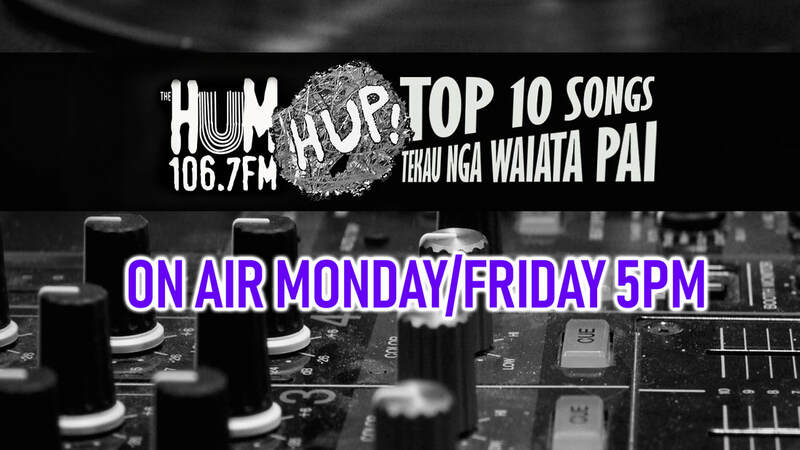 In each episode of 6 Songs, a couple of HUP contributors or guests choose 3 songs each - one Hamilton related, one NZ related, and one random one. A brief or detailed explanation of the track and/or why it was chosen ensues. Stream it below or download here. HUPCAST 15 is the first episode of our new 6 Songs Podcast! In each episode of 6 Songs, a couple of HUP contributors or guests choose 3 songs each - one Hamilton related, one NZ related, and one random one. A brief or detailed explanation of the track and/or why it was chosen ensues. Stream it below or download here. Props to the very cool 3 Songs podcast by Bob Nastanovich of Pavement and Mike Hogan in the US, whose format we have Hamilton-ised! HUPCAST 14 is upon us. Oh yes mama, here she be. The music is by Jess Locke, Ancient Tapes, Carb on Carb, The Scones, System Corporation and Ghosts of Electricity and the nonsense is by Arpie. Four of these tracks are - we think - pretty exclusive - if that's your thing. Either way they are preeeeetty sweet. Also, 50% of these pop groops play Nivara Lounge next Tuesday 18th April. GO/COME/ATTEND etc. Thanks for listening! Radio New Zealand made a fantastic documentary piece at Future City Festival in March 2017. Big thanks to Jana Whitta for putting it together. It's a great listen and is preserved for prosperity below! HUPCAST 12 exists! Cripes! It's down there look. Tracks are by Skux, Polyester, Ancient Tapes, The Biscuits and Invisible Threads. 80% of these groops are playing at Nivara Lounge on Sat Nov 19 and your attendance is requested. Thanks for listening! ​HUPCAST 11 is here to greet you from the upside down world, with a few delicious slabs of indie rock to whet yr appetites for some mighty fine shows here in The People's Republik of Hamiltronia. Tracks are by HEX, The Beths, BOZO, Paul Cathro and Ancient Tapes, and the umms and ahhs are from Arpie Shirehorse. Thanks for listening! HUPCAST 10 is here in all its double-digited glory. A shortish but very worthwhile listen featuring tracks from GPOGP, Blue Cross, Pixels, The Scones and previews of music from Bandfandango bands Cardio Farce and Closet Octopus! Thanks for listening! HUPCAST 9 is here for your lugholes to feast upon. This #9 is up there with Fowler and Rush in terms of quality, and has tracks from some neat groops, many of whom are playing in Hamilton in the coming weeks, including Terry, The Joint Chiefs, Glass Shards, Kitchen's Floor, Bitter Defeat, Jakob, So Laid Back Country China and Disco Volante. Thanks for listening! I say! Hello there!! HUPCAST 8 is upon us!!! Enough exclamations already!!!! Right you are. #8 contains waffle from me and tracks from The Naenae Express, Hospital Sports, Crows, The Joint Chiefs, Rumpus Room, Kitchen's Floor, and Blue Cross. See you at the shows Friday May 27 and beyond! Ahoy! The second podcast of 2016 is a veritable stonker, with tracks from Street Chant, Surf City, The Contenders, Ted Danson With Wolves, Inchworm, Hide & Tallow, The Scones and Louder Louder. See you at the shows Thursday March 31st and Saturday April 9th at Nivara Lounge! Greetings! The first podcast of 2016 is a riiiiiiipper with tracks from Former Friends of Young Americans, Kane Strang, Fazerdaze, Mermaidens, SoccerPractise and The Scones. See you at the show Jan 29th at Nivara Lounge! Ahoy! It is the night before the Xmas Party and I finally got the podcast together. Woot, or similar. It features music from some of the bands playing tomorrow night Friday Dec 18th at Nivara Lounge - Former Friends of Young Americans, How Get, The Goth and The Pixie, The Recently Deceived, DateMonthYear, and Invisible Threads. Ladels and jellyspoons, I give you the fourth HUPCAST. It is what my old man would've called 'a belter' (had he been partial to local indie/alt/punk rock) and features music from The Transistors, The Situations, Ghosts of Electricity, The Recently Deceived, Tuff Wizard, Hospital Sports, Jack's Cold Sweat and Invisible Threads. Enjoy! Finally, after months of procrastination/having a life, the third HUPCAST is here. It' only half an our or so, so you can sneak it in to 'smoko' or a particularly long lavatorial refreshment session. It features music from Harry Parsons, GROK, Ghosts of Electricity, Tidal Control, Inchworm and Phil and Tilley. We hope you enjoy it. All hail the second HUPCAST! Or just have a listen, probably easier to be honest than all that hailing malarkey. Prepare yourself, it's an hour-long episode and features music from Carb on Carb, Man In Rug, Nodrog, The Changing Same and Thunderdykes, as well as interviews with James Stutely of Carb on Carb and Richard Swainson of Auteur House. We hope you enjoy it. After a few weeks of remembering how to record and upgrading some hardware, the first HUPCAST, the podcast of the Hamilton Underground Press, has arrived. Featuring music from Carb on Carb, Caroles, D. Burmester and the Blind, Hollow Grinders and Ancient Tapes, the first HUPCAST is something of a trial run, and somewhat shorter than future episodes. Thanks for listening and sharing!